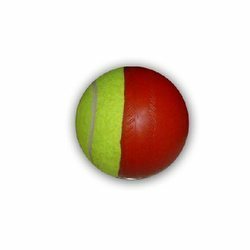 We are specialized in manufacturing and exporting a huge gamut of Swing Ball to our clients. Our range is made using best quality materials that are sourced from the trusted vendors in the market. These are available in various specifications and can be customized as per the demands of our clients. Clients can avail these at affordable prices in the market. 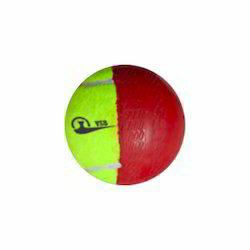 Semi Ribbed shape for ball to deviate . Pack Type: Bubble Wrap, Litlon, Carton Box, Packing Tape. Half felt / Half Rubber Ball. A great training ball for swing bowlers. Smooth rubber on one side, felt on the other side.